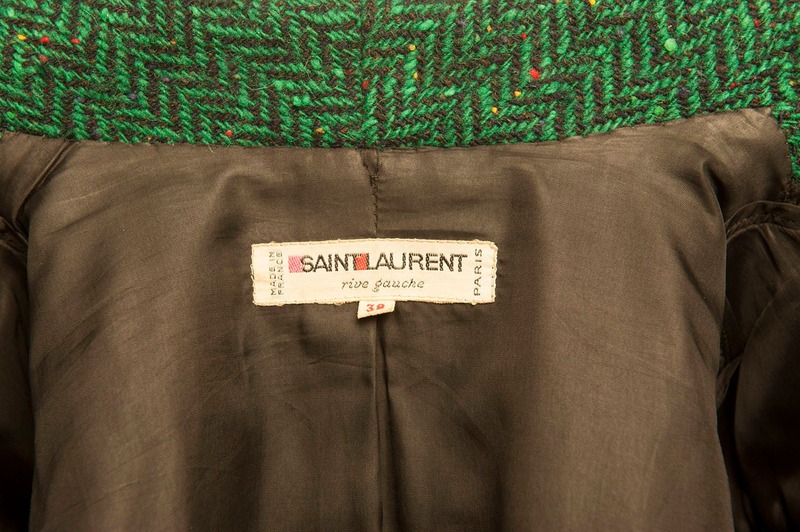 Bi-color knit short jacket by Yves Saint Laurent from 1980’s. 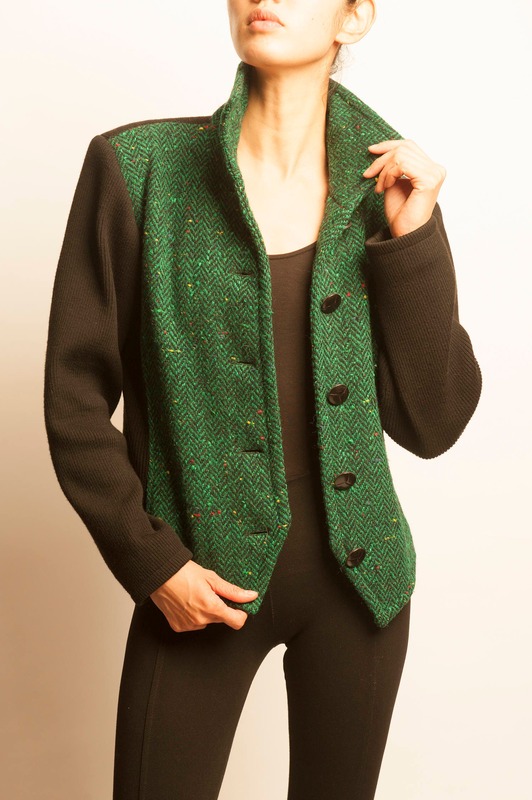 Made of green tweed on the middle, black rib stitches from the side to the back. Closure with five buttons on the middle, there are no cuffs buttons.